Attention! New USGBC membership fee Schedule October 1st. In an effort to increase action and accelerate the celebration of 25 years of excellence, the non-profit is restructuring USGBC membership fees. As of October 1, members will see an increase in membership dues to expand the sustainability movement. Rallying behind the proclaimed “All In” Campaign, USGBC envisions vast improvements in performance, existing buildings, residential sectors, and women empowerment. With an increased budget, members can ensure that green building initiatives will feature even more inclusion and involvement, and that your voice will shape LEED addenda. As the global provider of the LEED rating system, USGBC values the commitment from its members and acknowledges the personal and financial dedication to the green building movement. For the over 200,000 sustainability advocates that support USGBC mission worldwide, members can participate in solutions to pressing issues like climate change, environmental degradation, and overpopulation. The price for membership dues covers the bare minimum when it comes to global participation. This increase in contributions will allow LEED pilot credits to take flight and become staple practices across the industry. USGBC, with the support of GBES, requests that you reinvest in a mission to bring about environmental consciousness and action for a benefit that is priceless. 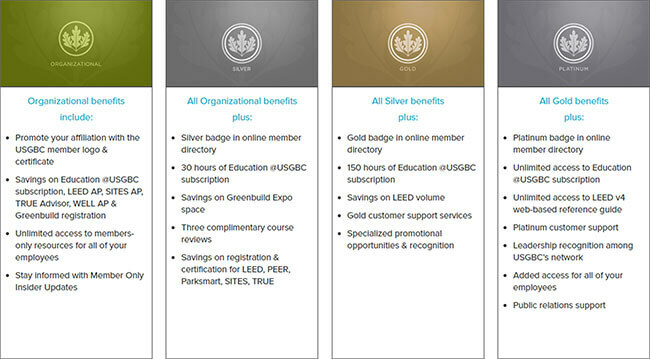 To view the full list of USGBC membership benefits, updates, or calculations click here. Similar to USGBC, GBES is pushing the envelope on LEED developments and the sustainability initiative. Be assured that whenever USGBC releases changes that may affect your accreditation, GBES will provide you with the major takeaways to save you time and keep you informed. 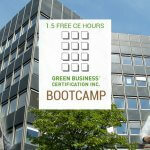 Having trouble managing your LEED Professional Credential? 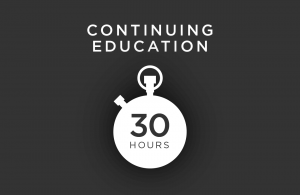 Purchase any 3 hours from our catalogue of LEED-specific education courses and join our community of trendsetters passionately practicing optimism and environmental stewardship.